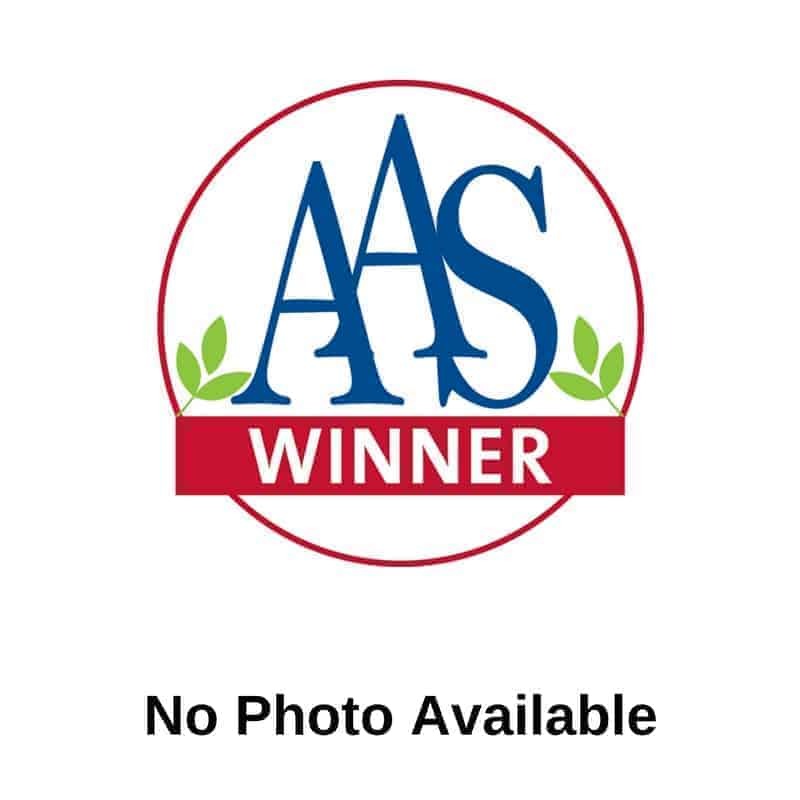 Fairy Tale is a petite plant with decorative miniature eggplants. The fruit appearance is as luscious as the taste. 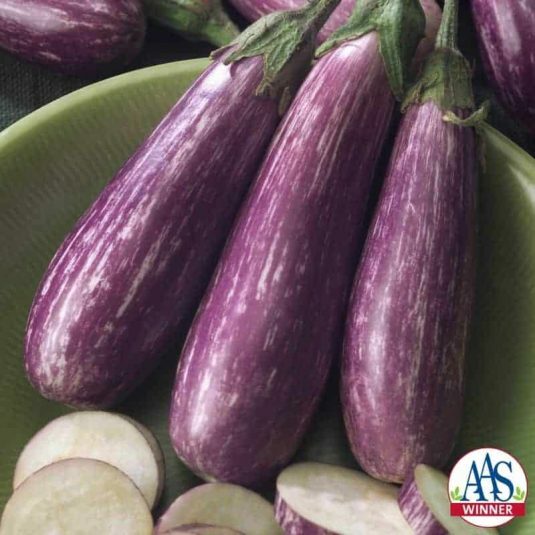 Fairy Tale eggplants are white with violet/purple stripes. The fruit is sweet, non-bitter, with a tender skin and few seeds. Another superior quality is the window for harvest. 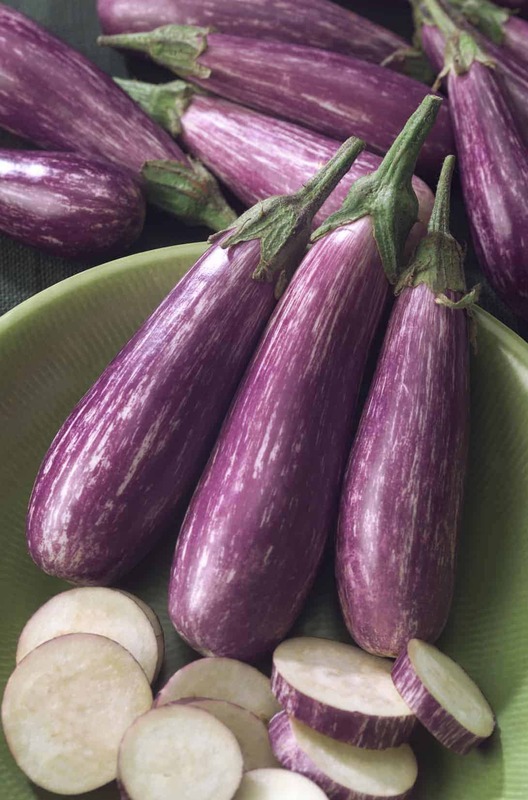 The elongated oval eggplants can be picked when quite small at 1 to 2 ounces or they can be left on the plant until double the weight, and the flavor and tenderness remain. 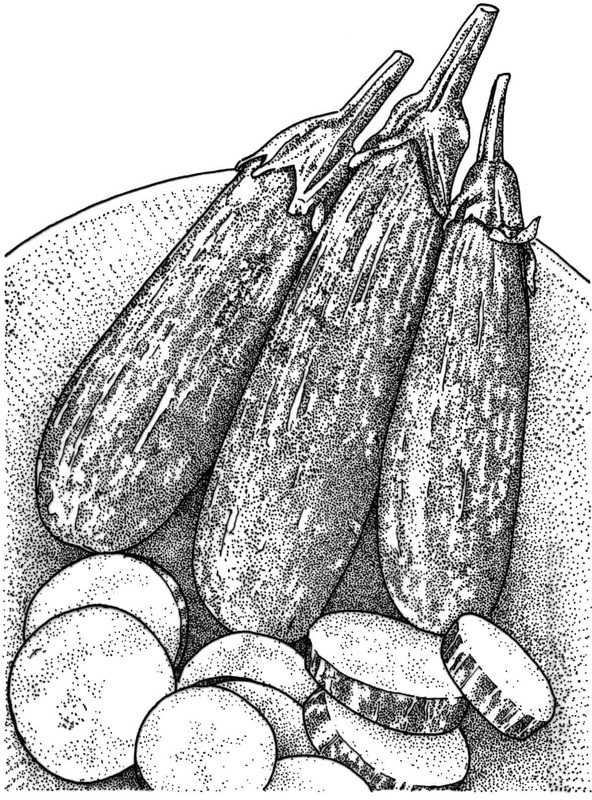 Fairy Tale eggplants are recommended for marinating and grilling whole. The harvest can begin in just 49 to 51 days from transplanting. 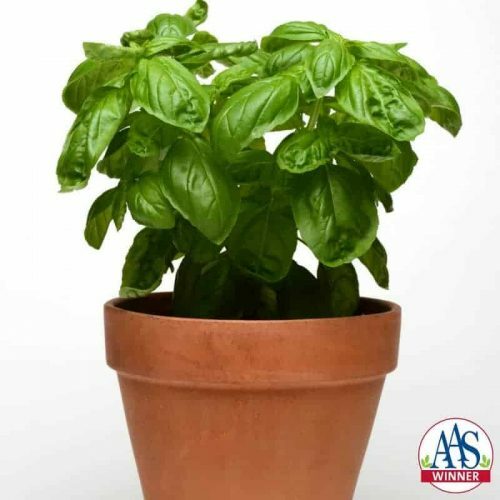 The petite plant reaches only 2½ feet tall and wide, perfect for container gardening. An eggplant has not won an AAS award since 1939, so Fairy Tale is truly an exceptional new variety. I grow Aubergines (Eggplant) every year to make my favorite dish: Aubergine Parmegiana. This year I tried Fairy Tale for the first time in containers. They are very prolific and I’ve had no problems with pests, even the family of Racoon’s who help themselves to everything leave them alone. I grew it with Purple Sage and the combination of the purple white fruits, purple flowers and the purple green sage is beautiful. 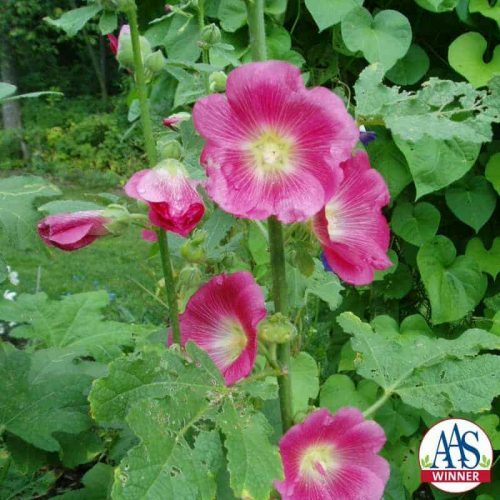 Fairy Tale is a prolific performer for me in containers and in-ground plantings. They are very tasty when grilled, and the white flesh is never bitter or seedy.